Order in next 13 hours and 46 minutes for despatch today. 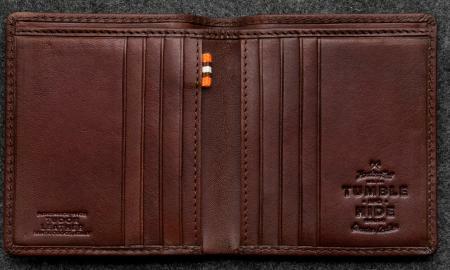 Tudor North South Basal Wallet in Leather with 8 card slots. The Tudor North South Basal Wallet is handmade from high quality Italian vegetable tanned leather, which gives that reassuring creak, when twisted.